From 2016 the company haw expanded to the UK with the company Marselli Aluminium LTD UK. Which has continued with the company, experience to provide its customers with high quality products throughout the UK. Since 2004, our company has consistently innovated, combining high aesthetics and excellent quality to create products that survive the test of time. Our modern facilities are in line with the latest European standards. In addition, our state-of-the-art machinery, together with our highly skilled technical staff and our multi-year experience in the area of aluminum frames ensure that we can take advantage of the capabilities of this versatile material to the fullest. Our company offers a wide range of products, including the composite (ALUCOBOND type) aluminum panel which is the latest technical innovation in the building coatings, as well as aluminum handrails, fences and frames. Since 2007, our company has employed quality assurance systems in order to satisfy the CE and ISO E14/30.09.2007 health and safety standards as required by the European Union. Moreover, our products have achieved a further distinction, being certified by the German Institute of Rosenheim in accordance with international standards, which rank Marselli Bros Aluminum Ltd amongst the top companies for aluminum products. 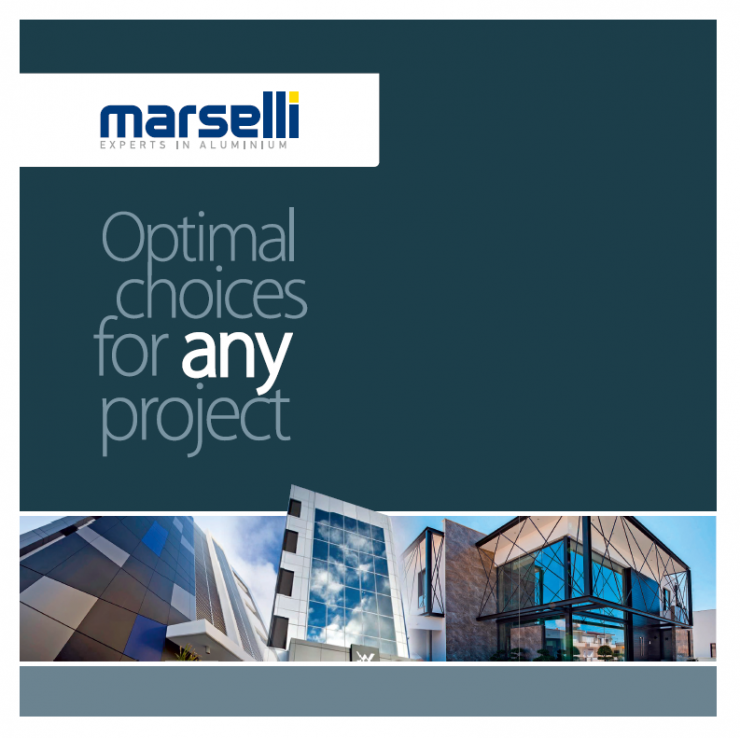 Marselli Bros Aluminum LTD does not rest on its laurels, however, and constantly upgrades its products by closely monitoring developments in construction and manufacturing in anticipation of future opportunities. With a friendly approach and respect for the needs of each individual client, through excellent service, consistency and post-sale technical support, the company's first concern is maintaining the excellent relationship we have developed through years of collaboration with our existing customers and developing lasting bonds with new customers. Web Development by Pittas & Valerkos Software Ltd..